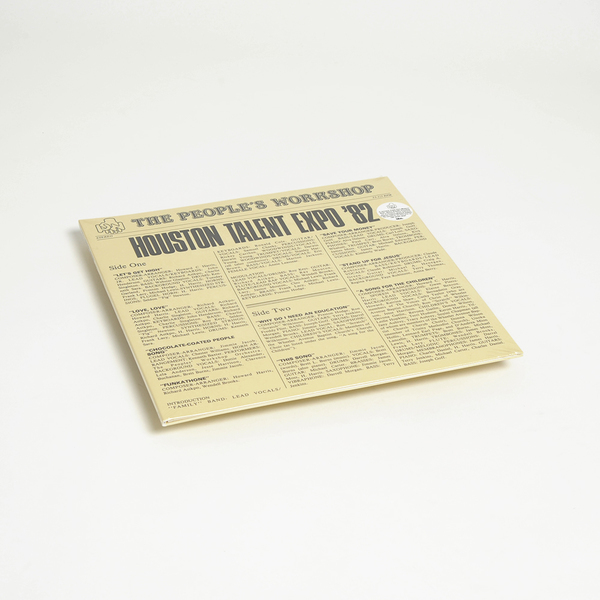 From BBE: “We are both proud and excited to present this highly sought after early 80's gem, originally created as a showcase project for young artists and composers by a community music organisation in Texas. Originally referred to as the 'Pop Music Lab', the Peoples' Workshop was formed in 1976 at Texas Southern University as a space for students to compose and perform, free from the constrains of Western classical music education. Swiftly gathering momentum, in 1980 the organisation was granted non-profit status and in 1983, moved off the TSU campus. The Workshop has since grown in size and scope, becoming the first Black-founded organisation to present shows in major performance venues around the Greater Houston area. 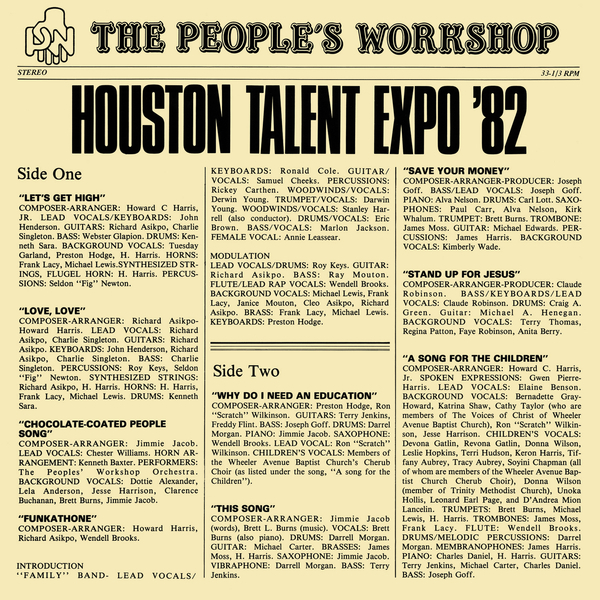 Houston Talent Expo '82 features original compositions by members of The Peoples' Workshop, performed exclusively by musicians from Houston. The songs vary in style, but remain centered around gospel, funk and soul; music and lyrics with a powerful positive message. Many of the artists featured remain active today around the world, working with such acts as Alice Coltrane and The Charles Mingus Band among others. 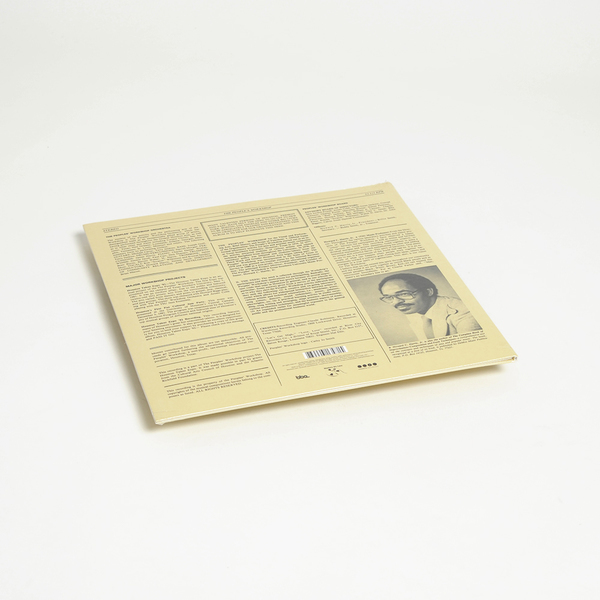 Gatefold 180g vinyl LP - Back in stock.